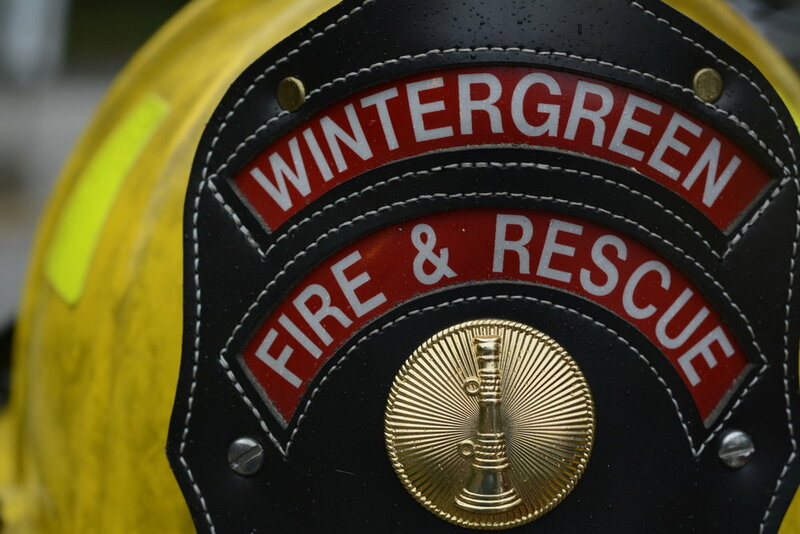 The Wintergreen Volunteer Fire Department has full-time staff stationed at both of the fire and rescue stations in our community. Each 24-hour shift is comprised of two firefighters in the mountain station, two firefighters in the valley and a shift captain who floats between the two. When a fire alarm goes off, two or three firefighters respond immediately to the call with the rest at least 20 minutes away. That’s two or three firefighters to connect to a water source, pump the water, look for potential victims, and attack a fire that could consume a room in minutes. Sometimes, on minor events, that’s enough. But often enough our professional firefighters need the help of Wintergreen’s community volunteers who support them in a variety of roles. Some volunteers train to fight the fire. Others are trained for key jobs such as operating the engine and the water pumping system. Other volunteers on the scene of a fire will run equipment from the engine to the firefighters or, in the case of a major event, provide water and snacks to the firefighters in rest periods. Volunteers can keep track of the firefighters entering and leaving the structure. Other are trained refill air bottles depleted by the firefighters on the scene. The volunteers helping with the administrative side of the volunteer house such as fundraising, time-keeping, etc., are very much appreciated. The process to become a fire volunteer is straightforward. After a routine background check, your application (go here to download the PDF) is considered by the Volunteer Fire Board and you can begin training. With the exception of training to be a state certified firefighter, you schedule your own training and attend monthly training meetings. We ask that you be on call around 30 hours a month but usually volunteers can can wait to be called to the fire scene from their Wintergreen home. Training is typically done in-house. Interested? Contact me directly via email at curtissheets@gmail.com or call me at 434-325-8536. I will be happy to answer your questions and get the process started. Info on rescue squad volunteers is HERE.